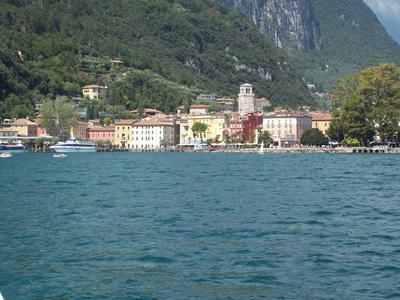 I have visited lago di Garda five times in sixteen years, three times to Riva. Being an elderly gent it is just the right holiday for me. The culture, the trips to Venice and the Dolomites, the food, the old part of Riva, the sitting at an outdoor cafe people watching. Riva is a fantastic place and if it were possible I would live there. Lake Garda is such a magical place and for many months of the year you can jump on one of many cheap lake ferries to explore other towns on the lake. Maybe it is a bit quiet for some but if you like culture, people, food and discovering, then Lake Garda is the place to go. 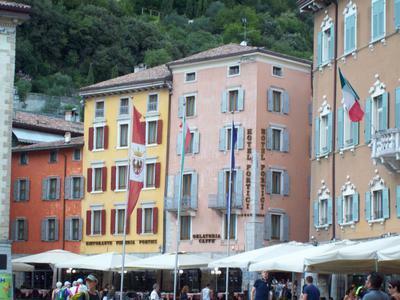 I last went in August '17 & stayed at the Hotel Portici Riva del Garda, not long refurbished. It is a wellness hotel if you prefer that, and a great hotel to stay anyway. Maria's reply: Thank you for the lovely photos and your review. I absolutely agree 100% with everything you say. 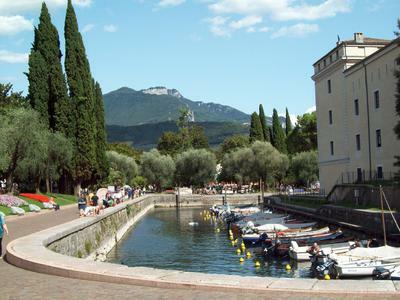 I'd also like to add that no matter whether you are six or ninety-six Lake Garda is the best lake in terms of the variety of things to do, both on the lake and nearby. With options like Gardaland for children and the young at heart, wine routes for those who love beautiful scenery and Italian wine, soaring mountains, ancient villages, glorious Verona nearby and of course the picturesque lake itself; what more could anybody want? Join in and write your own page! It's easy to do. How? 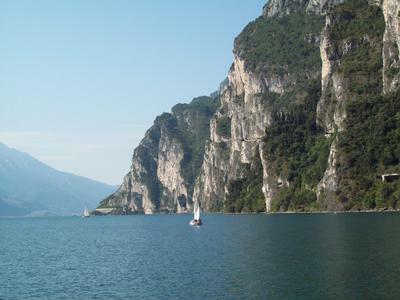 Simply click here to return to Visited Lake Garda?.